2016 Ford Escape For Sale In Vernon, Kelowna, Okanagan, BC. Utilizing a successful formula that has turned into one of the top-selling crossovers on the market, Ford has redesigned the Escape for a new generation. Combining a versatile interior, a variety of power options, and incredible styling, the 2016 Ford Escape is a leader in the small crossover class. The new Escape comes in three trim levels: S, SE, and Titanium. 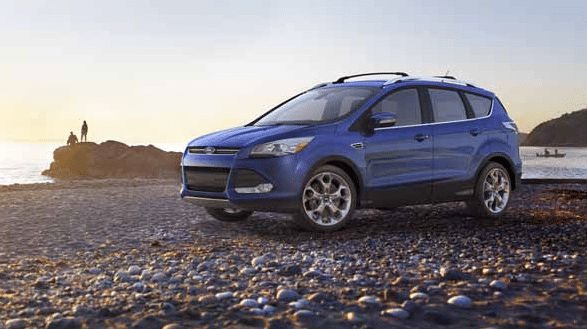 A stylish exterior of the 2016 Ford Escape features handsome, smooth sheet metal with contemporary lines. This crossover is athletic with an arched roofline and a high beltline. A front fascia gives the vehicle a sense of height, while the angled lower body cladding gives the illusion of forward motion at all times. 17-inch steel wheels are standard on the entry-level S trim, while aluminum wheels are available across all trims, ranging from 17- to 19-inches in size. SE and Titanium models both feature dual chrome exhausts, fog lamps, and front and rear skid plate inserts. The Titanium also features standard roof rails, which are an optional feature at the SE trim level. An exclusive feature for the Titanium is the foot-activated hands-free power liftgate, which is the perfect amenity when you are carrying armloads of groceries or luggage. 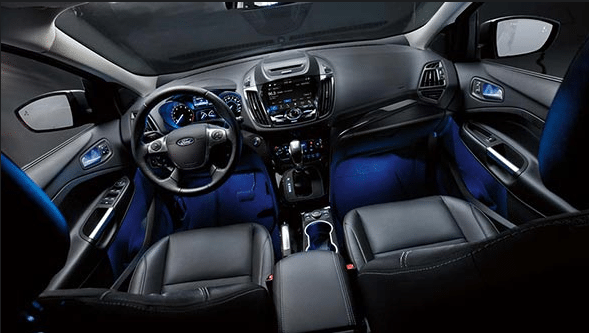 Seating for five in the interior of the 2016 Ford Escape comes with cloth upholstery, although the Titanium trim receives standard leather-trimmed seats and optional partial leather-trimmed sport-style seats. Aside from the quality amount of passenger space throughout the cabin, which is plenty for normal-sized adults to sit in any seat, the Escape also offers a generous amount of cargo space. With all seats in place, there is an available 971 litres of space, while this space increases when the second row is folded. The basic Ford SYNC system is standard on the S and SE trim levels, with a 4.2-inch colour LCD screen on the centre stack along with a USB port. This can be upgraded to the 8-inch colour touch screen SYNC 3 enhanced voice recognition communications and entertainment system. The Titanium and SE trims can also be equipped with the power panoramic Vista Roof and a voice-activated navigation system. 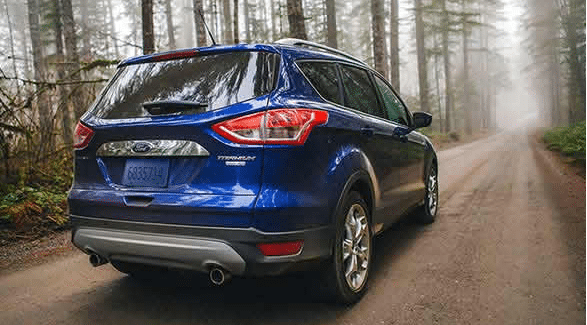 Enjoy front-wheel drive with the 2.5-litre-powered 2016 Ford Escape, while the other engines are available connected with either front- or four-wheel drive. Paired with the new SelectShift automatic transmission featuring Sport Mode, experience responsive handling wherever you go. A four-wheel independent suspension provides improved stability for a better ride. When properly equipped, the Escape is capable of towing up to 1,587 kilograms. Newly-redesigned, the 2016 Ford Escape comes from a long-line of award-winners. Ford covers the 2016 Ford Escape with thorough warranties. 2016 Ford Escape For Sale In Vernon, Kelowna, Okanagan Valley, B.C. The small crossover segment is crowded, but no other vehicle in the segment combines versatility, style, and power quite like the 2016 Ford Escape. Combined with plenty of standard and optional features and a low price tag, it should be no surprise that the Escape has emerged as the small crossover to beat. Designed for today’s drivers, this crossover meets all of your needs in an elegant package. No matter what your specific needs are, your local Okanagan Valley Ford Dealer - Watkin Motors Ford has the right vehicle for you. From the stylish compact crossover like the 2016 Ford Escape to a powerful truck to a unforgettable sports car, you have more choices when you drive a Ford. Take one out for a drive today from Watkin Motors Ford, and see why so many people are choosing the Escape.